I needed a backup server so I can back up all my files which were in my ZFS file server (FreeBSD), in the event that ZFS failed. But RAID, even if it is ZFS, is not a backup! ZFS also provides snapshot, which is kinda like backup. However, true backup needs to be PHYSICALLY separate in case of catastrophic disaster in its worst kind, such death of 4 hard drives all at once, burglary, or natural disasters like earthquakes (for Californians like myself). 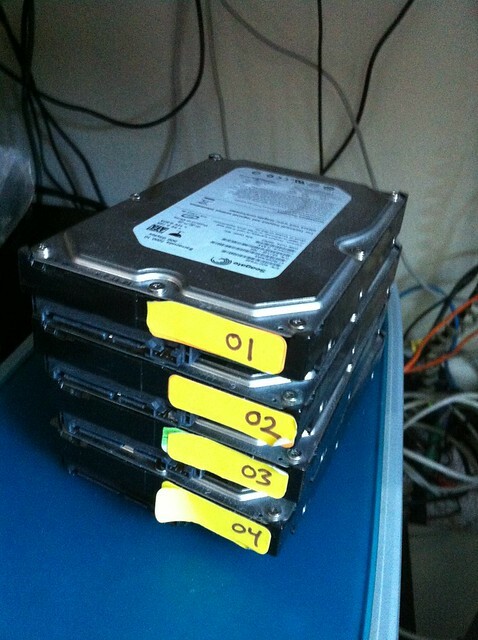 Update: The G3 server has been finally retired and replaced with Qnap and other modern hard drive enclosures. It now sits in the corner of the room as a reminder of the past of an ancient era in history. As a frugal and money conscious geek, where does one turn to enjoy the finest technology which is heavy on feature and light on the wallet? I surveyed the eBay for answers as I usually do, until I found what I had always wanted. A Mac … from 1999! 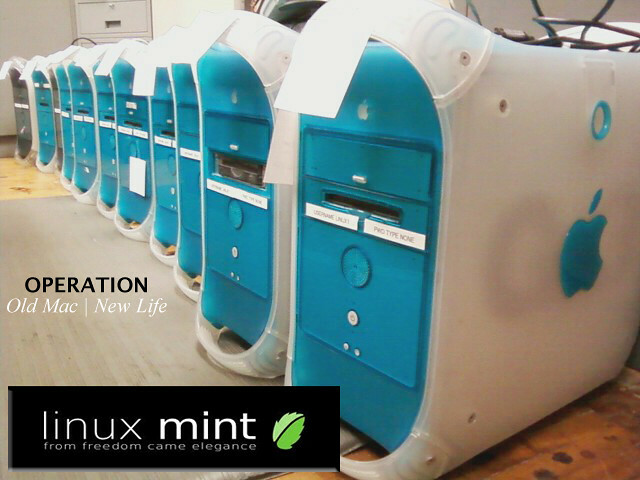 The Power Mac G3 (aka Bondi Blue & White or B&W) became my 8TB file backup server. It was selling for almost nothing, except for the hefty shipping cost. Revolutionary at its time, covered with excessive (and almost gaudy) shiny polycarbonate plastics, B&W G3 was the ultimate eye candy at its time in a time when ugly and hideous-looking desktop PCs flooded the boring corporate world. feature was that it came with the most accessible case. The folding door which makes it so easy to open reminded me of the gull-wing door of Delorian DMC D12. It was so accessible … so expandable… so shiny… something we have never seen on “normal” computer. I opened it occasionally just for fun, even when I wasn’t replacing any components. Whenever I was bored, or I was curious to see its internals, or when I needed some inspiration, I popped out its side door. It was akin to guilty-pleasure of opening the fridge door just to peek and hoping that there would be some goodies to eat for midnight snack. And it never got old, even to this day. I wished that every case opened like this today, despite the advancement of tool-less thumb screws. (Later on, Dell came up with something similar, where the tower case’s side door opened with a latch, and IBM/Lenovo with its SFF desktop). It came with 4 PCI slots (1 occupied). Look at those beautiful empty PCI slots! I saw those empty PCI slots and imagined all the cards I would add. Unfortunately, there weren’t that many Mac compatible PCI cards. And those that were available, they were unjustifiably and ridiculously expensive, even to this day (as checked by price on OWC). Apparently these haven’t come down from their original 1999 prices. A 2 port SATA PCI card costs $67 and 4 port 1.5Gb (with oldest and slowest SATA I) costs $118. In order to turn it into a decent file server, I’d have to invest in an old technology that cost more than what it was worth. I wanted to see if Linux would work and it turned out it did (FreeBSD worked fine, too). 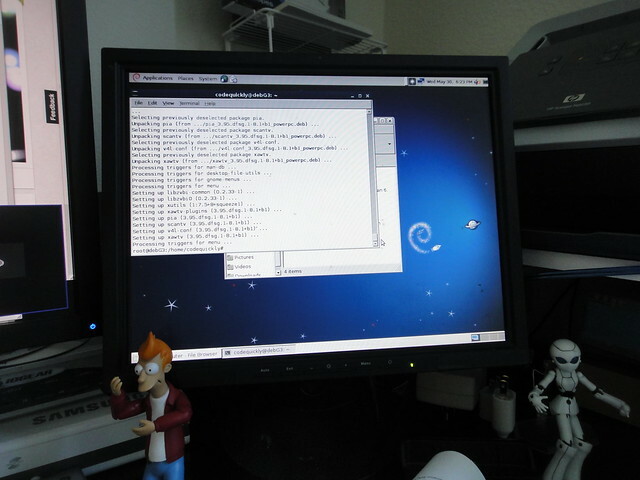 Debian for PPC worked like a charm and the old Mac worked with almost every PCI cards I threw at. Even those cards that long ceased to worked on modern PCs were fine on Linux. However, compatibility was met with poor performance especially on the ACard 4 port SATA PCI card I had been wanting to put to use. The card itself was nothing special but it was very ancient. Could it work on Power Mac? Amazingly, it worked. 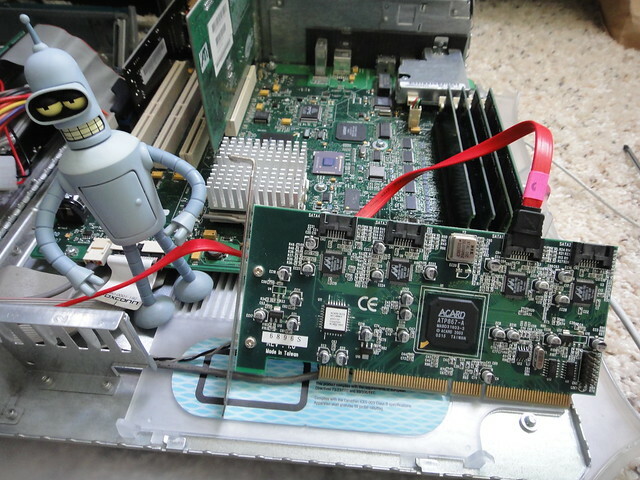 Any PCI cards that weren’t compatible with Mac worked as long as it was running Linux. But it was not all rosy. Unfortunately, the driver was not as optimized (or fast) for this machine. The disk read/write was shockingly slow at 1MB/sec on, while it should be doing at least 40-80 MB/sec on a typical platter-based SATA II drive. Thinking it was a mistake, I re-ran bonnie++ several times. Even the basic copying of files were slow as molasses. I should’ve been getting at least 40MB/sec. That’s as slow as legacy USB 1.1. Something was amiss. Not to be outdone, I have tried SIL 4 port SATA Card. Fortunately, it was working fine at its expected speed, getting around 40MB/sec all around. Not bad. Did an old BT878 Analog TV Card work? Yes! This card is not compatible with any Mac, but it worked. 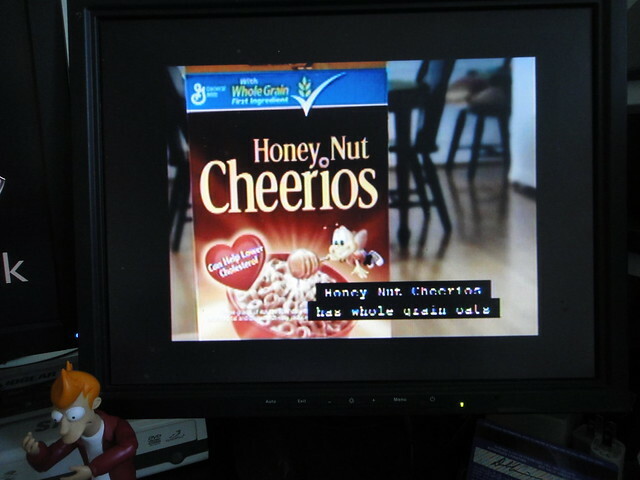 I was able to watch video feed of my security camera as well as normal TV via digital TV tuner. Standard definition analog TV and video feed was working perfectly using XawTV. G3 couldn’t handle a lot of videos, though. Video playback with VLC was fine for for nearly-DVD quality video, but it was skipping frames on video. Also, as expected, H.264 and Divx encoded videos were too slow to watch, and too much to ask for a 300MHz CPU. MythTV was working, but video was unwatchable. Watching LiveTV was around 1 fps, probably due to heavy processing required. Recording from mythtv was also a failure. Did a generic Gigabit NIC work? Yes, although I it was slow due to the PCI’s bandwidth limitation, slow CPU, etc. Firewire, on the other hand, was a bust. I so much wanted to use an old firewire iSight webcam. 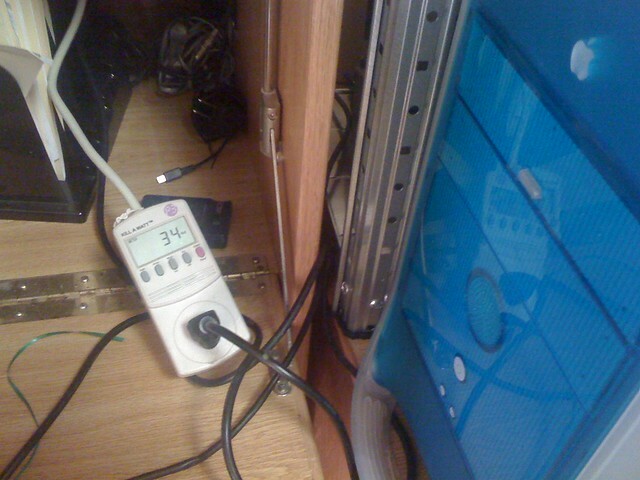 However, the driver for the built-in firewire on G3 was broken (and probably was not scheduled for a fix anytime). Web browsing was not a good experience, since modern web requires a lot of CPU processing. Power usage wasn’t too bad. It ranged from 34 watt idle to 50 watt under full load. 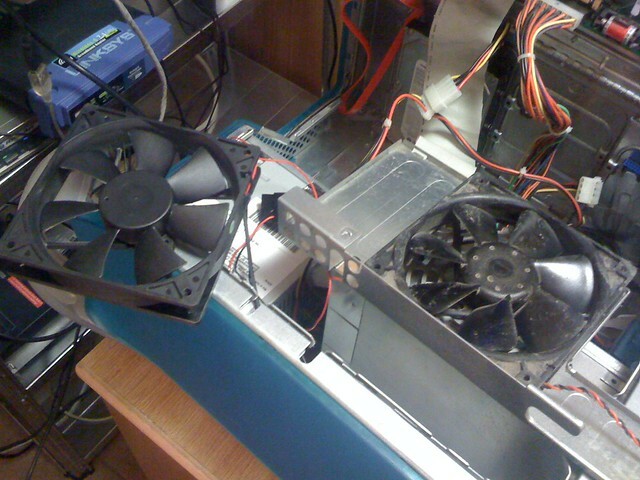 Internal fan was too noisy so it was replaced with quieter fan. firewall (such as Shorewall). Requires 2 or 3 NIC. However, gigabit is questionable. Also it cannot run pfSense, which requires x86. vnc client or XDCMP client/server to remote server with GUI desktop (Edubuntu LTSP). hardware projects. But it lacks serial & parallel port. 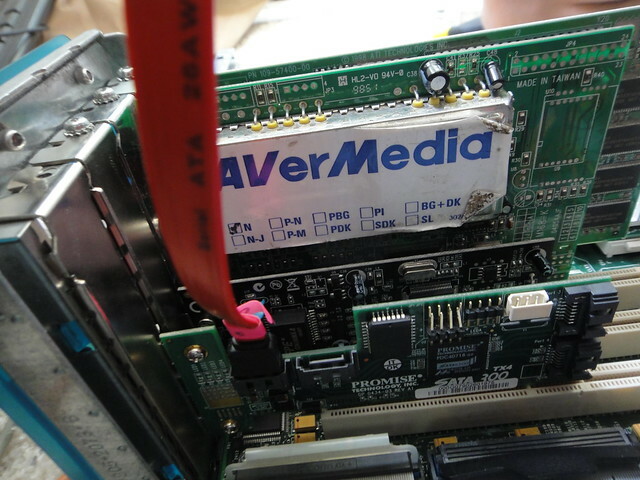 media server (PS3 Media Server or DLNA server). It is fine for audio but it might be too slow for video content. 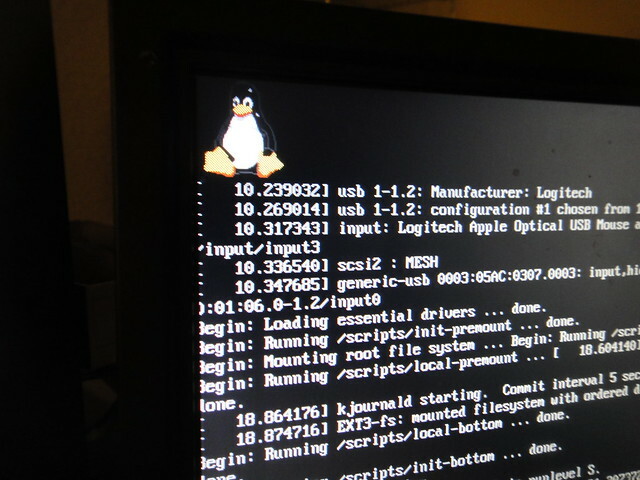 Others have also revived old G3 by installing Linux. In order to get xorg to work properly, /etc/X11/xorg.conf needs to have following configuration. It worked with or without this: Option "UseFBDev" "on". Video is slow due to NoAccel but it wouldn’t work otherwise. Also remove network-manager since that is is intended for GUI environment but I’ll be using it headless and I opted to use the old /etc/network/interfaces instead. For some reason, sound wasn’t included. I added snd-powermac to /etc/modules. Firewire did not work. PowerMac G3 uses TI PCILynx IEEE 1394 firewire, but the driver was broken and it was probably removed from newer Linux kernel. There is an issue on B&W G3 Rev 1 with CMD646 chip as it can corrupt IDE drive 1. Linux supposedly disables DMA/udma, uses pio, to get around the bug. However, #hdparm -i /dev/sda reveals that it is using udma2 and multicount=16. I’m not sure, but in future, put root into SATA (perhaps Raid 1) instead, leaving only /boot in IDE HD. 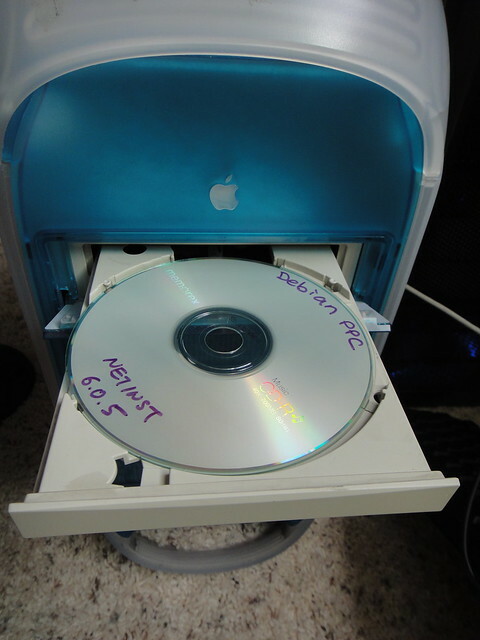 Tried replacing CD-ROM drive with an IDE HD (as IDE1). File operation became incredibly SLOW! All other disk I/O became super-slow. RESOLVED: Don’t use IDE1 for hard drive. Don’t use 2 IDE hard drive.